This afternoon, the CMA JV Lacrosse team hosted a game against Homestead on Culver’s lacrosse field that overlooks Lake Maxinkuckee. The weather was beautiful and because there was no wind, Culver’s crew teams could be seen practicing in the background. 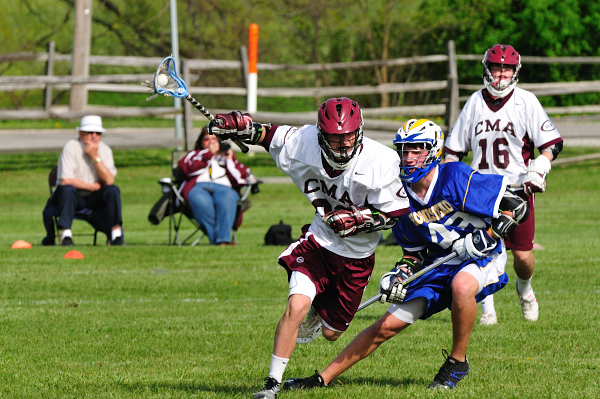 Culver’s JV Lacrosse team proved to be a more seasoned team than Homestead’s team. Unfortunately for both teams, the game was one-sided. Culver’s offense and Homestead’s defense had 95% of the game’s action. I think that against other High School teams, Homestead probably would have performed ok. 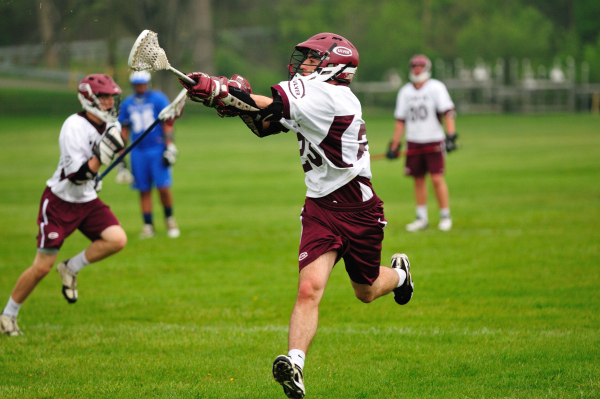 In recent years though, Culver’s Lacrosse program has proven to be a powerhouse with their JV and Varsity programs. I’ve posted a handful of pictures here. There are more posted at culverphotos.com at http://www.culverphotos.com/p601903057. This afternoon, I had to decide between shooting the CGA JV Softball game or the CMA Varsity Baseball game. 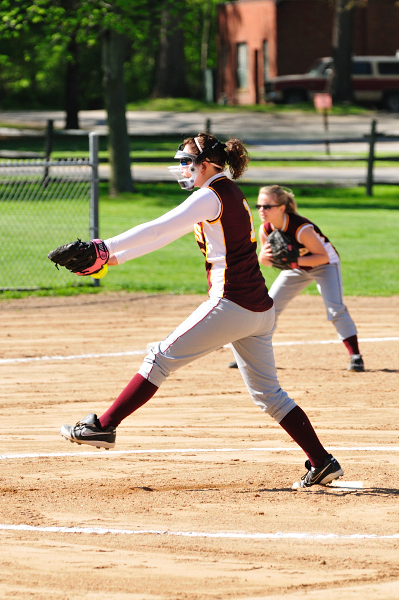 As this was the first home game for the Culver JV Softball team, I decided to shoot their game. Their season is shorter than many of the other teams so I wanted to get photos of them while I had the chance. It was a beautiful night, sunny and not too hot, in Culver for the CGA Eagles’ first JV Softball game of the season as they hosted John Glenn High School. The girls played their hearts out and had a lot of fun and showed great sportsmanship even though they didn’t get the result they wanted. The Culver’s JV Softball team is a very new team. I’m told that they have a few girls playing that have never played softball before. Knowing this, I stopped paying attention to the score and focused on how the girls played and interacted with one another as a team. From my vantage point, they seemed to get along and still enjoy the game. And, they have the groundwork to come together as a team. I’ve posted a few of my favorite photos here. There are more located on www.culverphotos.com at http://www.culverphotos.com/p692732754. 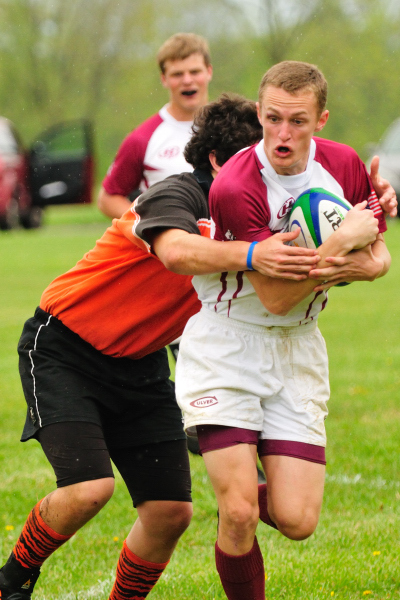 This afternoon, despite a massive downpour, the CMA Varisty Rugby team hosted Warsaw at Culver Academy’s Fleet Field. It was a wet, muddy mess, but no one seemed to care as Culver scored in the first minute of the game. Culver played extremely well and won, even though Warsaw made a great effort in the second half of the game. I posted some photos here. Additional photos are at http://www.culverphotos.com/p592823080. 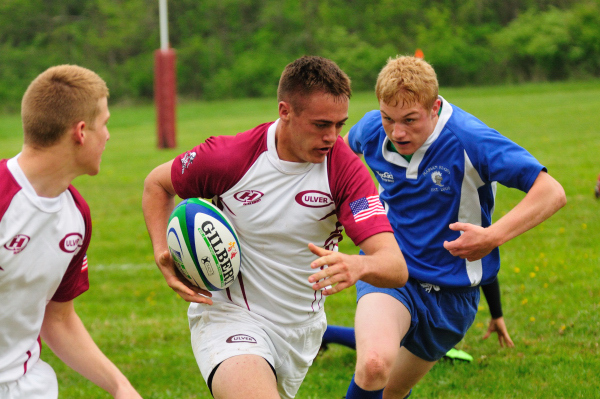 This afternoon, as part of Culver’s Parents’ Weekend, the CMA Varsity Rugby team hosted a game with Marion. The weather was cloudy and rainy, but the game still went on and the kids played their hearts out. Culver lost, but they put forth a great effort. I’ve posted some photos here. Additional photos can be found at http://www.culverphotos.com/p1035038811. Due to some requests, I’ve also posted some monochrome (black and white) photos at http://www.culverphotos.com/p866293861. 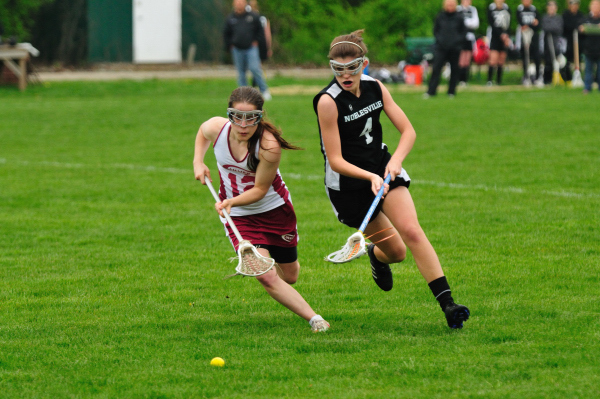 This morning, as part of a lacrosse tournamanet, the CGA Varsity Lacrosse team played against the Noblesville High School for the first game of the event hosted at Culver Academies. The CGA Eagles played well and won the game 9-to-6. There are some photos here; more are posted at http://www.culverphotos.com/p947772495. This morning, the CMA JV Lacrosse team played the JV team from Rockhurst Jesuit. This team traveled to Culver with their Varsity team that played Culver last night. The skies were cloudy, but the game was rain-free, unlike other games played this weekend. Due to other sporting events, I was only able to watch half the game. What I did see showed that Culver would bring home the victory. In addition to the photos posted here, there are more photos at http://www.culverphotos.com/p675592401. Enough about the weather. The game was interesting to say the least. Rockhurst Jesuit played hard and fast and quickly managed a 5-0 lead. Things were looking grim for the CMA Eagles. Our team looked slow and passive. In the second quarter, with three or four minutes left, Culver’s coach called a timeout after 2 or 3 quick scores by Rockhurst. I don’t know what was said, but the team that took to the field afterwards was a different team. 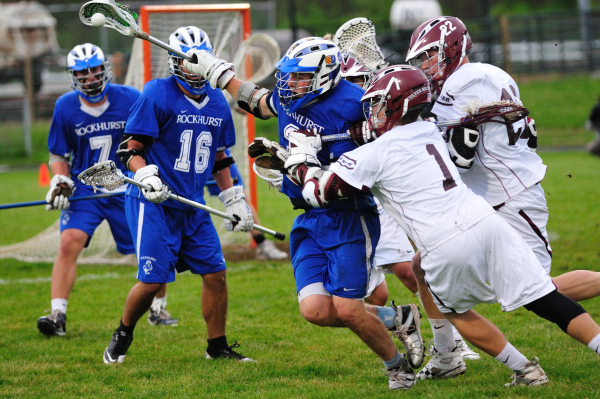 Culver was aggressive and probably had 15 shots on Rockhurst’s goal in those last minutes of the first half. One scored ending the half at 1-to-5. During the halftime break, I commented to someone near me that if Culver could play as well in the second half as they did the the last 3 minutes of the first half, we actually had a chance. In the sceond half, Culver did play that well or even better. Culver came back from a 1-to-5 deficit to a 9-to-5 lead. The final score was Culver 9, Rockhurst Jesuit 6. They say, “Never give up,” and that’s what the Culver Eagles obviously believed on this day. 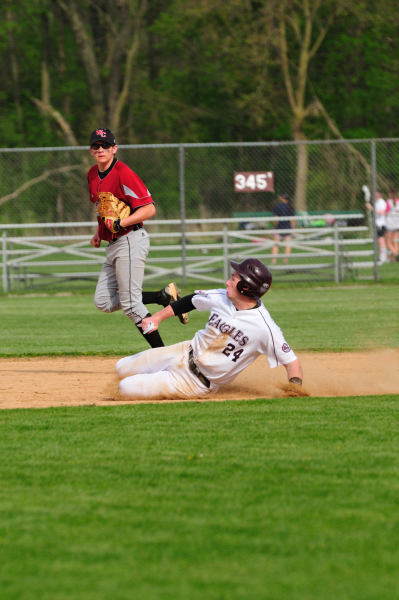 This evening, the CMA Varsity Baseball team played West Central High School on Culver Academies’ campus. After a late start due to bus troubles, the game got started on a beuatiful evening with both teams appearing to be evenly matched. 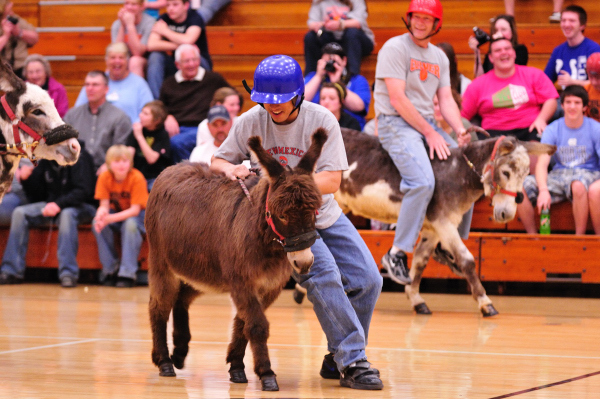 Unfortunately, due to donkey basketball (and yes, I really did say donkey basketball) at the Culver Community High School, I could not stay for very much of the game. I’ve posted some photos here. More photos are located at http://www.culverphotos.com/p105065467. For anyone interested in my recap from the donkey basketball, please view my blog entry from that event or the photos located at www.culverphotos.com/donkeybasketball. 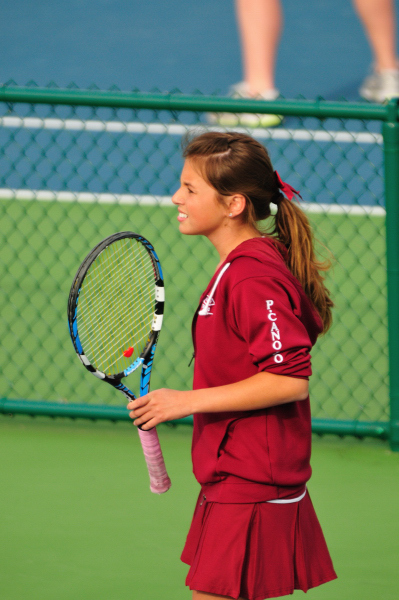 This eveing, the CGA Tennis Team hosted Crwon Point in a match at Culver Academies. I wish that I could tell you how the girls played, but tennis is one of those sports that I know very little about. With 12 to 14 games being played at once, I think that even if I knew tennis better, I still probably wouldn’t be able to provide an acurate account until everything was over and stat sheets were available. I’ve posted some photos here; there are more at www.culverphotos.com/p398667049.